Ever wondered how they make Spanish rice? 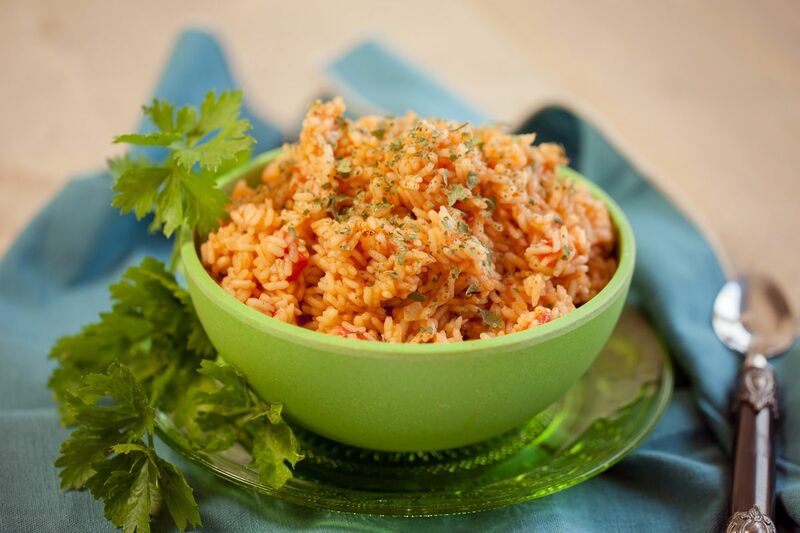 Check out this easy to make recipe for spanish rice and whip up a side dish in no time! Finely chop the onion in pieces. Mince the cloves of garlic and set aside. 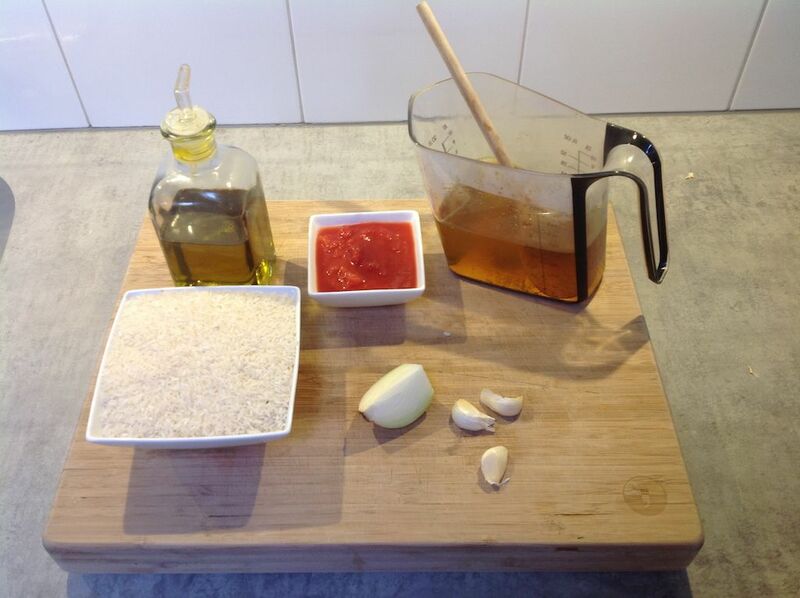 Take a measuring cup and measure the amount of rice needed using the kitchen scale. Optional: when you want to use fresh parsley, chop it into fine small pieces. This can be done using your chef’s knife. Of course you can use dried parsley which you can buy in stores. Put a medium sauce pan on medium fire and add 2 tablespoons of olive oil. Wait for the oil to get hot, then add in the onion along with the minced garlic. Sauté the onion and garlic, when glossy add in all of the dry rice. Cook the white rice with onions and garlic for about five minutes, or until the rice gets a golden brownish color. Stir occasionally. Add in the chicken broth and plain tomato sauce. Make sure you add the broth to the rice and not directly to the pan since that can cause steam to form quickly. Add in the parsley or any other herb you might want to add into the rice dish, this is not required. Stir up and bring to a boil. Turn the heat to low once the rice broth starts boiling. Let it simmer for about 15 to 20 minutes and keep lightly stirring. You can check if the spanish rice is ready by tasting it. If the rice grain is still a bit hard, let it simmer for a few more minutes. Keep repeating this until the rice is well done. 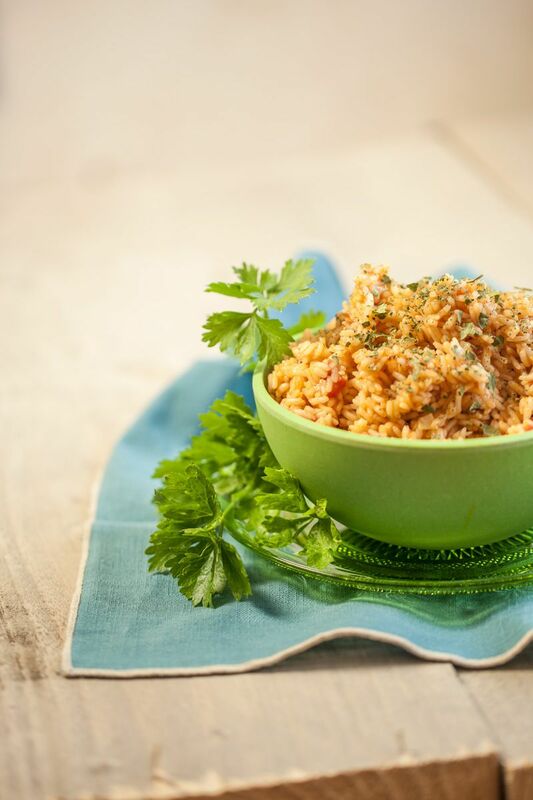 This Spanish rice side dish goes very well with chicken, turkey and all kinds of fish. Let us know what you think!